Corner beauty on a huge lot in desirable South Shore/Avalon Park area! 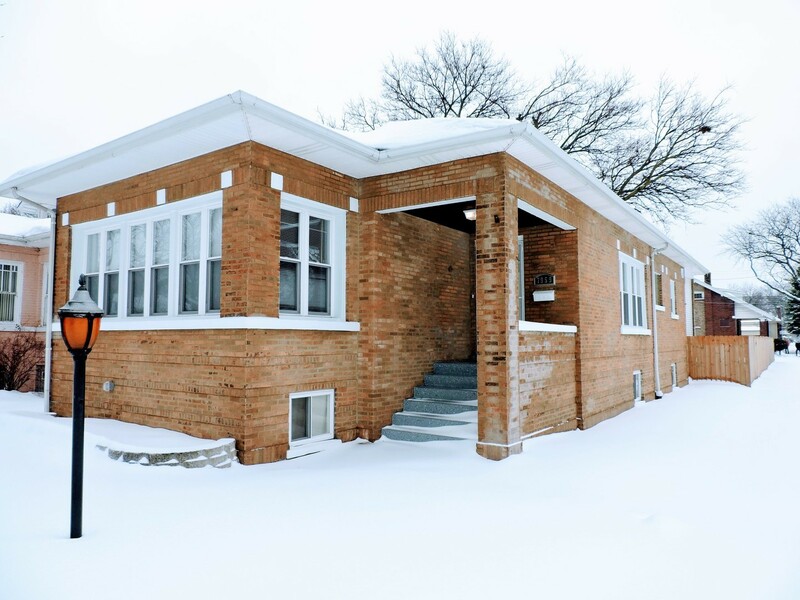 This Newly Rehabbed 4br 2ba Brick Bungalow has tons of character, new windows and hardwood floors throughout. The HUGE Living Room has lots of windows on three sides to allow an abundance of natural light. There is a spacious separate formal Dining Room. New Kitchen with granite counters, gorgeous backsplash, new Stainless Steel appliances. The main floor also has 3 bedrooms and an enclosed rear porch. The full finished basement features a 4th bedroom, 2nd full bathroom, family room area and den area, HUGE laundry room with plenty of room for storage. Outside you have a large fully enclosed yard with a privacy fence and a new deck off the rear, plus a parking pad for two vehicles. Other features include; new electric, new HVAC system and water heater, new plumbing, new windows, or in other words, New Everything.